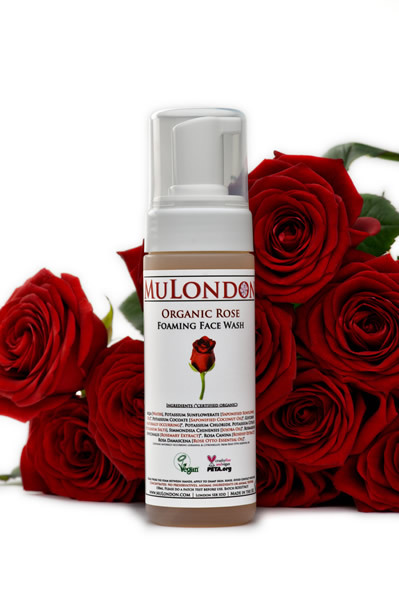 “The MuLondon Organic Rose Foaming Cleanser is my newest skincare love, and I get the feeling that it’s going to be a lifelong affair. You see, not only does it smell like a bed of the most beautiful roses (and, really, is there a more romantic, beautiful way to smell than of roses? ), but it’s also the gentlest, most delicate facial wash I’ve ever had the joy to use… Within a few days of using this beautiful cleanser, my skin looked fresher and more vibrant. It felt firmer, and smoother, and any redness or uneven tone seemed less noticeable. It also felt softer to the touch, meaning it’s perfect for dry, mature or parched skins.” – MuLondon Organic Rose, Rosehip & Rosemary Cleanser review by Sam from “I Am Into This”.